How-to-buy a Butterfly Embroidery Machine in 5 easy steps! 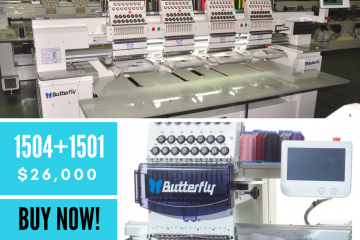 Looking to purchase a Butterfly Embroidery Machine but, not sure in what direction you should go? Let this guide help you towards owning your own Butterfly Embroidery Machine. These are only suggestions and are they are always more than one way to achieve your goals! 1.) Look at our media and ask some basic questions from sales. Our media contains helpful training videos and also support and service videos. 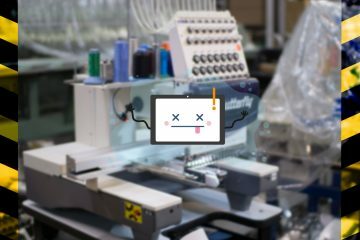 This will help you get familiar with our brand and embroidery equipment. Feel free to contact us if you have any further questions on how-to-buy a Butterfly Embroidery Machine. 2.) Visit us for a live demo, stay at hotel for more than one day for a demo if you are not located close to Fort Worth, Texas so you have plenty of time to play with your new machine. Get to know more about us. 3.) Do some hands on live training. Once at our office, we invite you to get your hands dirty and learn the machine in and out. 4.) 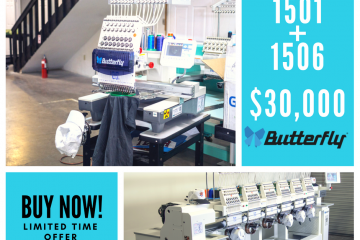 Talk about easy financing from a reputable third-party dedicated to embroidery machine sales. 5.) Take home or have it shipped. We ship world wide. The equipment will be crated and insured. We have shipped thousands of embroidery machines. If you cannot make time to visit us, you can also setup a live online demo. We use high speed, high defintion streaming so you can see YOUR machine live from anywhere in the world.